The peacock pose is amongst the classic poses normally listed in most yoga texts. As you read them, you will find that certain poses are mentioned as common favorites by these ancient hatha yogis. And peacock pose is one of the spiritual poses, and helps you to digest poison physically (and also mentally, I gather). But certain schools -- especially the therapy based ones -- do not recommend this where certain existing problems persist. Equally, similarly "timid" schools would say that this pose is contraindicated for women and totally avoidable. There is a very good reason for this, if you remember the context in which it is placed. In earlier traditions, and I would say right up to my mom's time, most deliveries of babies were natural births. My mom would say that a woman was physically very busy till the last day of her delivery which facilitated natural childbirth. Plus, most women had several offspring. By the time she reached the third baby, often her hips had widened, and her reproductive system become so flexible inside that she could stand holding the cradle (they used to have the saree tied to a wooden rod, I recall) and feel the baby emerging and could deliver easily and smoothly! All of this meant of course, that there was a certain natural looseness at the uterine passage. So, peacock, because it applies tremendous pressure, can cause uterine prolapse in such women or if they have incidence of it, worsen the situation. It is also not recommended for those with a fragile heart. The elbows squeeze into the large liver, one whose functions is to sponge off excess blood that piles up in the cardiac chambers. So, for those with a heart condition, the pressure that piles up at the heart would be beyond permissible levels. 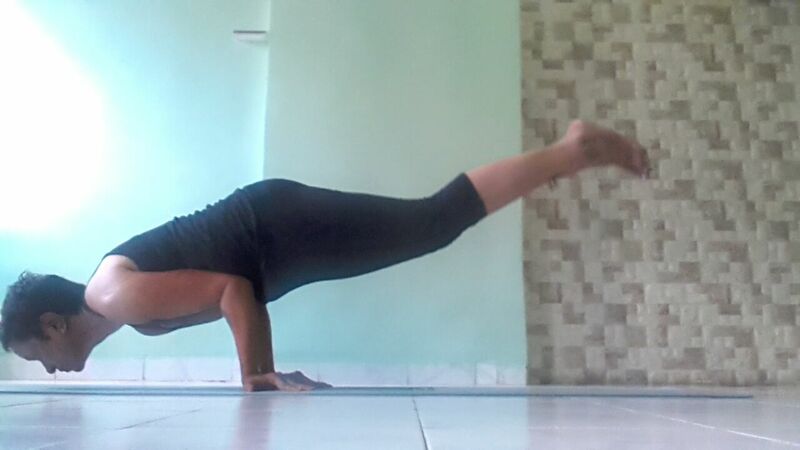 Women who wish to hold the pose and ensure the pelvic floor does not slacken with regular practice of the peacock pose (mayurasana) must hold the root lock firmly when lifting up.